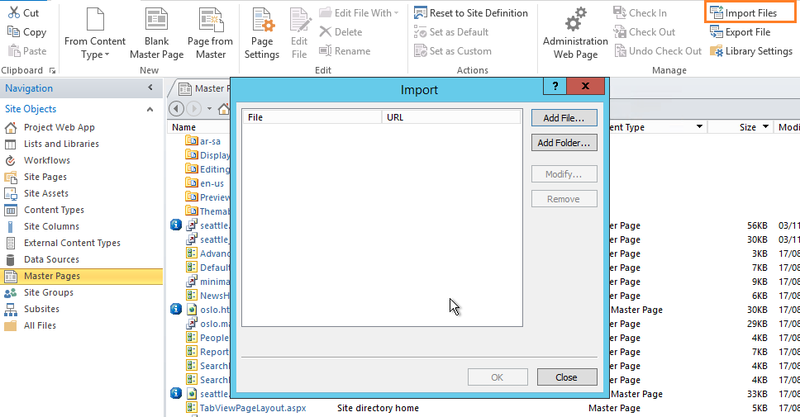 In case of you are using a different webpart types like Report Viewer, PerformancePoint …etc to show the SSRS native mode report, thence you should the document mode only for Master Page. Open SharePoint Designer > Connect to SharePoint site. Go to Master Page Tab > Select the assigned Master Page > Edit in Advanced Mode. Note: If you can’t edit the master page in advanced mode, you will need to use export file to save it locally then import it again. 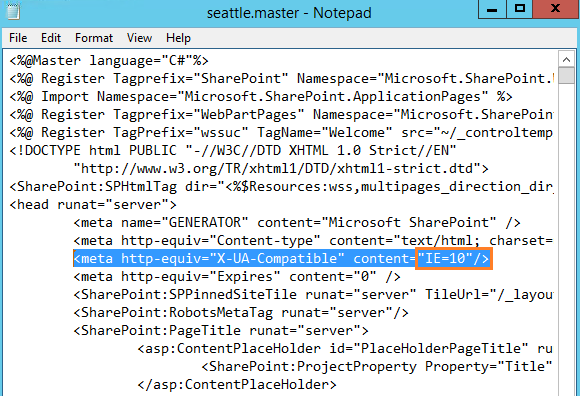 Find “X-UA-Compatible” > Change the content attribute to IE=8 > Save. Go back to SharePoint Designer. > Perform an Import File. Try to browse the report now that should be shown properly. In case of you are using only Report Viewer webpart to show the SSRS native mode report, thence you should update the document mode for only ReportViewer page. C:\Program Files\Microsoft SQL Server\MSRSx.InstanceName\Reporting Services\ReportServer\Pages. The report within the Report Viewer webpart should be now shown properly using IE .